CleanAir Express brings over 30 years of testing experience to the design and manufacture of environmental sampling equipment. 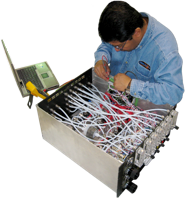 We offer quality service and calibrations for maintaining the longevity of the equipment. For annual checkups and service, please contact a Clean Air representative. We recommend consulting a CleanAir Engineering representative prior to shipping your instrument to us. You can call our Palatine, IL office at 1-800-223-3977 to request service for your equipment. Prior to shipping, please complete and include the Repair Authorization Form with your shipment to CleanAir Express or fill out the form below and a Clean Air representative will be in touch. 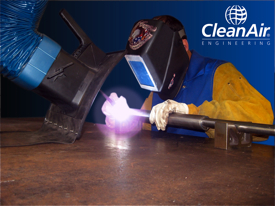 We have several experience technicians, fabricators and welders in house for quick reliable service.